Crafts For You Customer Appreciation Party! 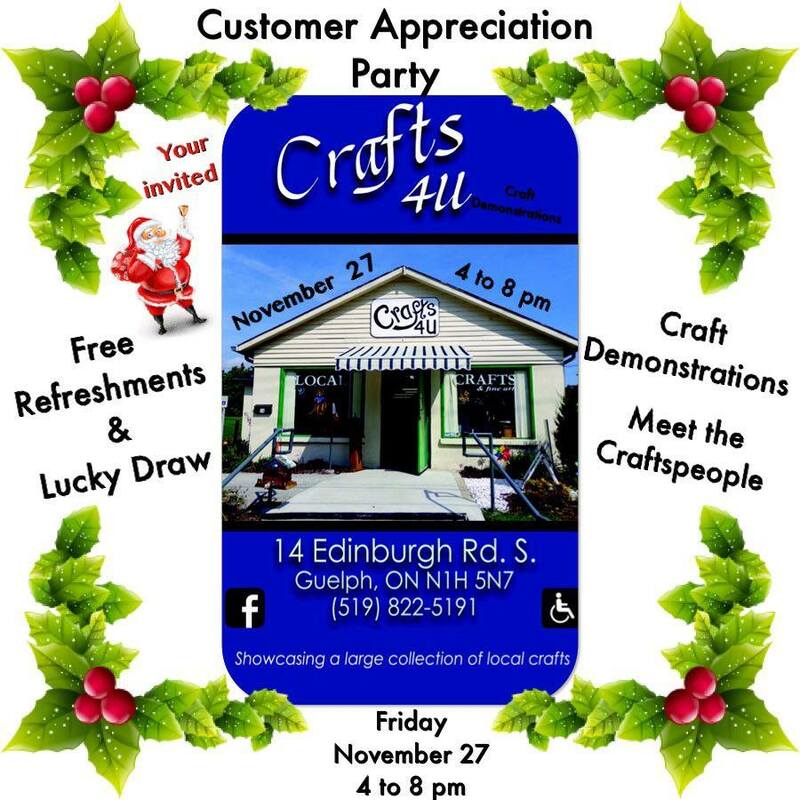 On Friday November 27 at 14 Edinburgh Road South from 4:00 to 8:00 pm there will be free refreshments, craft demonstrations, and a lucky draw. You’re invited to meet other craftspeople who enjoy locally made crafts including pottery, jewellery, stained glass, wood work, sewing, weaving, copper enamel, art, photography, soap, and much more from Crafts 4 U, which showcases a large collection of local crafts. and call them at (519) 822-5191. 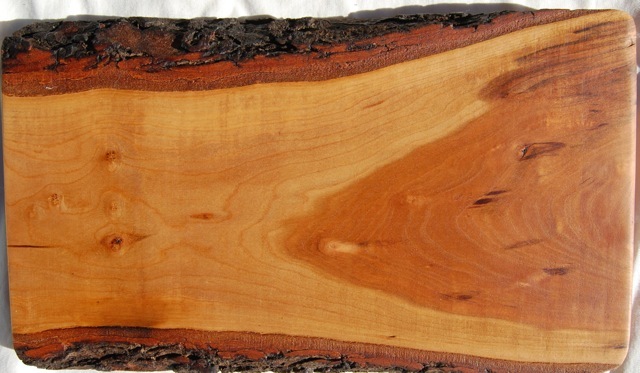 Bear Boards are artisanal solid cherry wood boards for your kitchen. 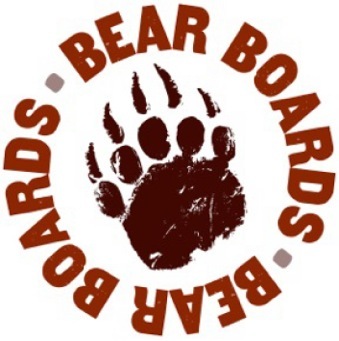 Each board is named as the shapes present themselves to Claire Barron, the woman behind Bear Boards. 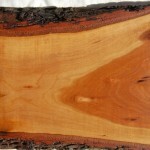 She seasons all the boards with mineral oil and beeswax and are completely food safe. If you choose not to use the boards for food, Claire can apply verathane on it for you. She suggests that you occasionally oil your board, either with a Bear Boards product or another food safe oil. All boars are an inch thick unless indicated otherwise. While a lot of boards are for sale, Claire does do custom work. 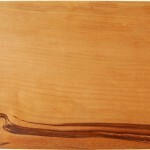 Customers are encouraged to get involved in choosing the wood and its size. The show will be at Write Design Studio (123 Woolwich Street) in Studio 101 on Friday November 27th from 1:00 to 7:00 pm. and call them at 519-994-1475. This entry was posted in Art, Fourth Fridays and tagged craft events Guelph, custom wood work Guelph, Fourth Friday's events, Guelph events by Fourth Friday. Bookmark the permalink.